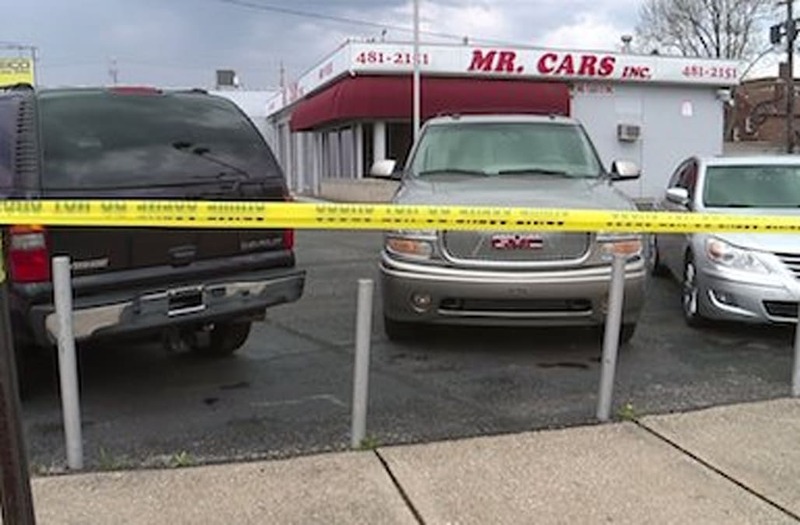 CLEVELAND (WJW) -- The Cleveland Division of Police is investigating the deaths of two people who were found shot to death inside of a car dealership Friday night. Police said it happened at around 10:10 p.m. Friday in the 700 block of East 185th Street at the Mr. Car Sales dealership. Investigators say the victims, a 46-year-old woman and 50-year-old man, were found with gunshot wounds to their heads by their 19-year-old son after attempts to contact them went unanswered. Paramedics and police responded to the dealership, but the pair was pronounced dead at the scene. The couple has been identified as Trina and Michael Kuznik, according to the Cuyahoga Medical Examiner's Office. The Kuzniks owned the car dealership, police said. Some property was taken from the office area, but it is unknown if any cars were taken from the dealership at this time. "What crazy person could do this to these great people," said the victim's friend Debbie Beranek. The Cleveland Division of Police Homicide Unit and Cuyahoga County Medical Examiner's Office are investigating the crime. "It's horrible it's like what's the world coming to? There's so many jobs out there flip burgers why take lives? It's senseless," said Beranek. Anyone with information is asked to call homicide detectives at (216) 623-5464, or Crimestoppers at (216) 252-7463.